The 2017 Pre-event Table Captain Luncheon was held on Wednesday, July 28th at Sycamore Hills Golf Club. 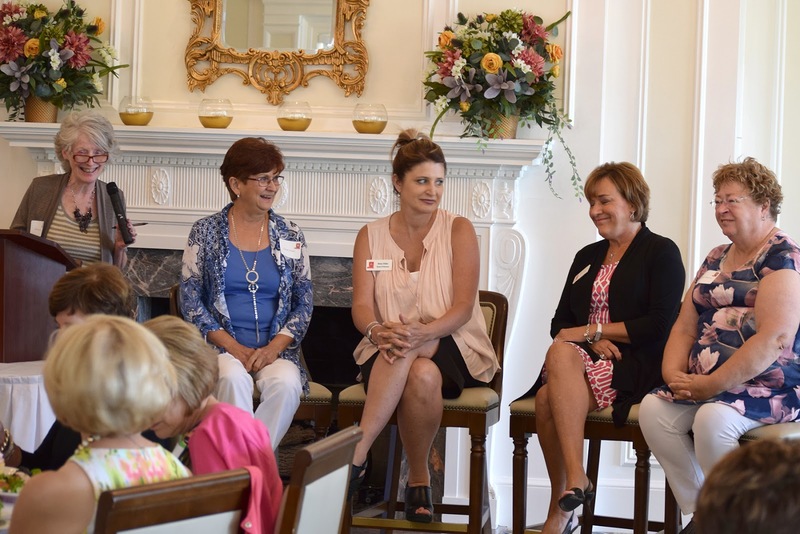 Four Francine’s Friends board members shared personal stories and perspectives on early detection, education, awareness and advocacy as part of a panel presentation. Over 40 women (and three men!) gathered for lunch, learning and laughter and to hear more about this year’s 13th annual "Lunch with Friends". The 13th Annual “Lunch with Friends” will be held Friday, October 13, 2017 at the Allen County War Memorial Coliseum from 11:30 am-1:00 pm. 2017 "Lunch with Friends" sponsors to date include Kroger, Radiology Oncology Associates, P.C., Physicians Health Plan, Vera Bradley, Steel Dynamics, Briner, OmniSource, Do It Best Corp., Fort Wayne Oncology and Hematology Consultants, Emley Design Group, GLO Magazine, Punch Films, and Shaffer Multimedia. The call to action was "Bring YOUR Friends and honor breast cancer survivors!" Luncheon guests will also enjoy survivor makeovers by Jophiel, Lacie’s Hair Design, and The Red Stiletto — and all help raise funds for mammograms! View this year's Table Captain Luncheon photos on Facebook by clicking here. For information on being a table captain, bosom buddy or corporate sponsor for this year's event, or for individual ticket information, contact board vice president Glynda Harris (harrishome3@frontier.com or 385-1601).